The National Weather Service has put numerous excessive heat warnings, watches and advisories into effect for the mid-section of Texas. As a result, the start times of events scheduled for Denton and Belton on Thursday evenings will be delayed in order to safeguard both the performers and the audience. Start times for the DCI North Texas event presented by Stanbury Uniforms and the DCI Central Texas event presented by FloMarching will be delayed (see schedule below). 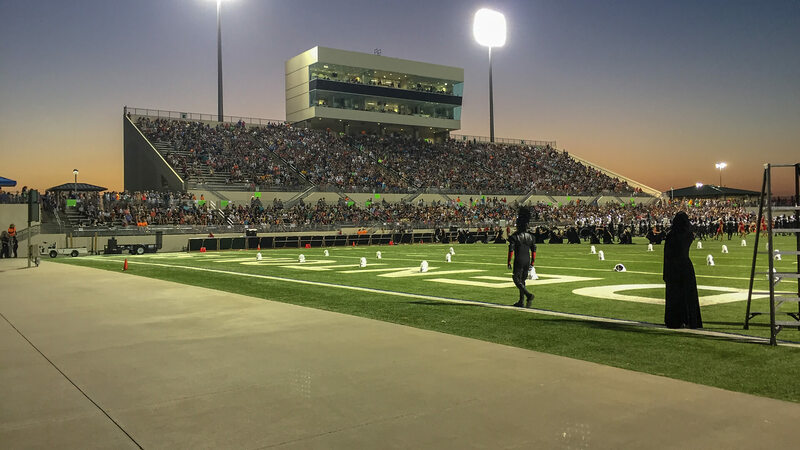 “In collaboration with our colleagues at Weather Decision Technology and other professional metrological resources, we’ve been monitoring the temperatures and heat indexes across the state of Texas closely, and working to make sure all of our performing drum corps are taking the necessary precautions during rehearsals to accommodate these extreme conditions,” said DCI Executive Director and CEO Dan Acheson. In the stadiums at both venues, plenty of water will be available for sale at the concession stands, and spectators at both events are encouraged to hydrate throughout the day leading up to attending the shows. As an additional precaution for the safety of every performer, corps will perform their shows in their entirety, but corps members will wear rehearsal attire rather than their typical uniforms. Judges will provide commentary for the ensembles, but there will be no scoring of the performances. Unrelated to the weather conditions, The Academy has made the decision to pull out of tonight’s event in Denton and will not appear as part of the lineup. A number of corps members have come down with a stomach bug, and corps management is giving them time to rest and recover. “Our primary objective right now is to get the corps members healthy and to keep the healthy from getting sick,” Academy Executive Director Mark Richardson said.